I n February, the GESIS – Leibniz Institute for the Social Sciences and the ZBW – Leibniz Information Centre for Economics initiated a meeting of experts from across Europe as well as representatives of the European Commission and ERCEA (Executive Agency of the ERC) at the Brussels office of the Leibniz Association in order to formulate recommendations for a policy regarding the open access publication of research data. 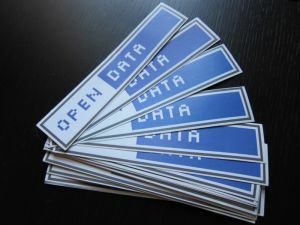 Open access to research data is one of the general principles of the EU Programme Horizon 2020. Access to publications has become part of the agenda at a national level and a draft law regarding the secondary exploitation rights to publications is currently under debate. A similar open access strategy for research data of publicly funded research is still at the concept stage. For this reason, Professor Klaus Tochtermann of the ZBW – Leibniz Information Centre for Economics and Professor York Sure-Vetter of the GESIS invited renowned international experts to discuss the definition of research data, which areas of Horizon 2020 should promote open access and the potential limits. Another important point on the agenda concerned ways of establishing a culture of data sharing and of convincing researchers of the benefits of an open access strategy for their data. As a result, the experts presented recommendations for six fields of action to the European Commission. These include the recommendation that data management plans should be mandatory, in particular for projects from the pillars “Excellent Science” and “Joint Research Centre”; that a framework is needed taking into account different business models for licenses; that an embargo of 12 months should be possible and that data should be hosted on expandable repositories. In addition, researchers should receive training in data management to enhance the culture of data sharing. DG Connect, the department for the Digital Agenda of the European Commission, welcomed the recommendations. The recommendations are available here.